Have your boat rental company call us on the VHF Channel 09 when you depart from their dock. Compass course from Boat Harbour to southern tip of Lubbers Quarters is 150° You should arrive at the south tip of Lubbers from Sea Horse Boat Rentals in 15 – 20 minutes. Our dock has white piling tops with a sign (Watercolours) at the end of the dock. 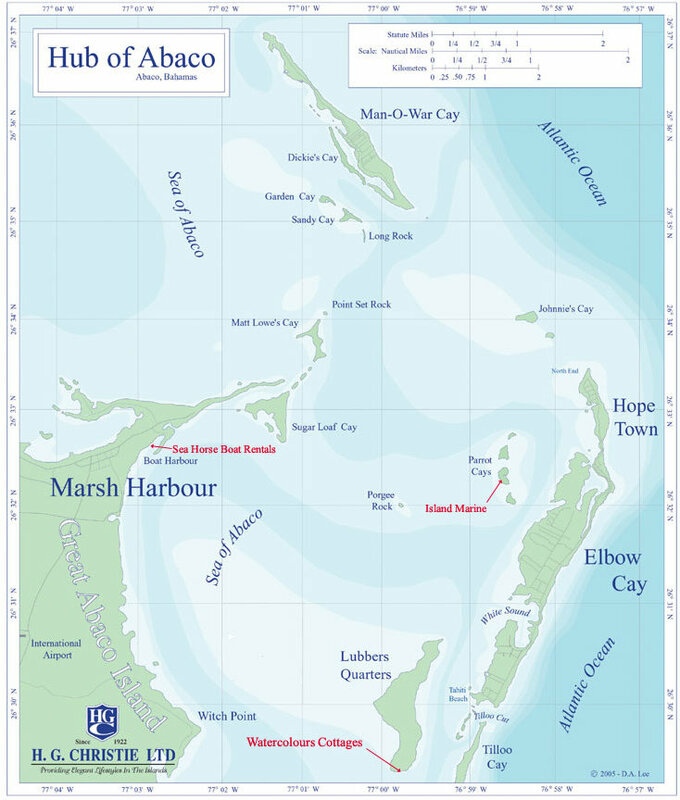 Island Marine will give you local knowledge to find Watercolours when you pick up your boat.